Debt funds invest in fixed income securities like Government Bond, Corporate bond and money market securities with different time horizon. There are different types of debt mutual funds depending upon their investment strategy. These funds are mostly appropriate for investors who are risk aversive and seek regular income. Debt funds invest in fixed income securities like Government Bond, Corporate bond and money market securities with different time horizon. 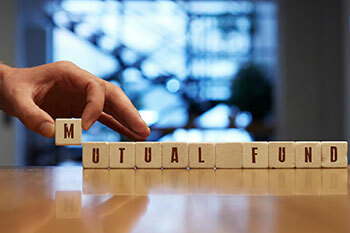 There are different types of debt mutual funds depending upon their investment strategy. Gilt Funds, Income funds, Liquid funds and MIP are few examples. Besides, they can also be categorized in short term funds, Medium term funds and long term funds depending on their tenure. Less volatile than equity market: The debt mutual funds invest in debt securities, where interest income is regular and prices are relatively stable than equity investments. More liquid than fixed deposit: Investors can invest and withdrawal, fully or partially, at any time, unlike fixed deposits. However, investors may have to pay exit load for certain period. Taxation Benefits: Debt fund are more tax efficient than other fixed income instruments. After 3 year of investments, a long-term capital gains tax is levied on debt funds at either 10% without indexation or at 20% with indexation. Indexation is adjusting investments for inflation for holding period. Below are the top 3 debt funds which investors can add in their portfolios. ICICI Prudential Corporate Bond Fund is a medium term fund which predominantly invests in AAA/AA rated corporate bonds. The fund is well poised to earn good accrual from good quality papers and also benefit from fall in interest rates. The fund avoids investing in papers rated below AA- thereby maintaining the overall quality. Reliance Corporate Bond Fund is a medium term fund which predominantly invests in AAA/AA rated corporate bonds thereby maintaining the overall quality. The fund is well poised to earn good accrual from good quality papers and also benefit from fall in interest rates. UTI Income Opportunities Fund invests in high income accruing securities with short term maturity to generate reasonable income and capital appreciation. The fund aims to capitalize on mispriced credit across the credit spectrum.